Whether you call it a clear out, spring cleaning, tidying, or decluttering, we all know that keeping a clean and tidy living space is akin to a clean and tidy mind or life. As you grow older, an organized home can become more important for other reasons such as downsizing, reducing trip hazards, as well as health conditions. 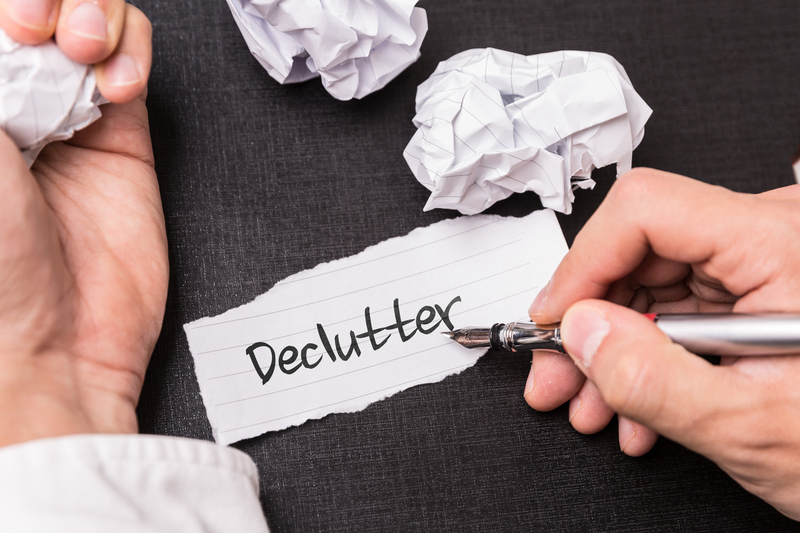 In this article we’ll be exploring why it’s best to keep on top of the clutter in your space, as well as some nifty tips and tricks which will help you on the way to a organized home in no time! The saying ‘tidy space, tidy mind’, is more true that you might realize! Psychologists have found that having a decluttered, organized space helps reduce stress and anxiety, as well as allowing for a clear headspace. So long as it doesn’t involve moving heavy furniture, organizing and decluttering is great gentle exercise. As you age, getting out and about can become more challenging, so finding ways to keep fit in the home is often helpful. Additionally, we’ve all lived exciting and full lives in our own ways. Decluttering allows you to not only find what’s important, souvenirs from old adventures, or mementos from when your children were small, it also allows space to properly display them, giving you far more joy and satisfaction in your space as a whole. When decluttering and organizing your space at any age, it is very important not to bite off more than you can chew. A gung-ho attitude is great, but you may run out of steam halfway through a space, leaving it looking more disorganized than before! As a senior, it is important to focus first on any potential safety hazards your clutter may have made. Make sure stairs and walkways are clear to reduce the risk of trips or falls. Make sure you have clear access to doors and windows in case of emergency, and that none of your electrical products are worse for wear, particularly around the wiring or cords. Don’t be afraid to ask for help! If you’re not as mobile as you once were, or you’re finding things a bit too heavy for you to lift, then ask a friend, family member, or even a neighbor to help you. Going through old things can be a great bonding experience, particularly with a child or grandchild, and they may even find things of yours that you no longer need useful to them, taking a chunk of the clutter off your hands! Finally, the most important tip for anyone hosting an organization offensive, is to declutter in a way that works for you. While some of the stunning homes and spaces shown in the magazines look wonderful and tidy, oftentimes when it comes to the practicalities of daily life, they actually turn out to be very much style over substance. When it comes to your later years, what you need is an easy life, after working a full career, or raising kids, or living life to the fullest, you deserve to relax! So organize in a way that is going to benefit you, and make your life easier, happier and clutter free.